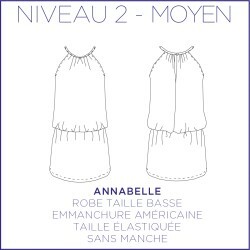 Annabelle, it's a summer dress that will accompany to the beach as to the city. 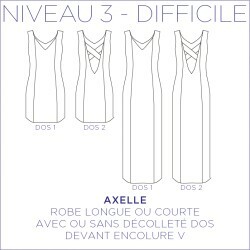 Armelle, it's a trapeze dress with V-neck back and front. 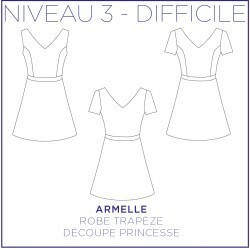 Armelle combines chic, sobriety with a small return in the 70's with its trapeze skirt. 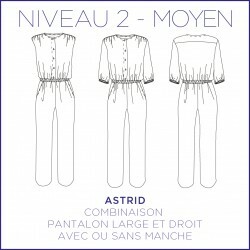 Astrid is a trendy but easy to wear combination. 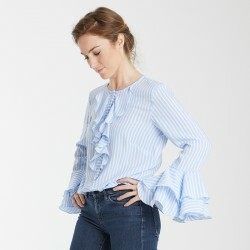 Convince yourself ! 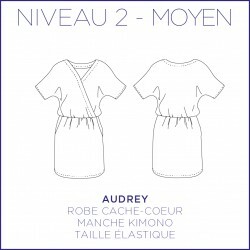 Audrey, it's a wrap dress that will accompany your summer. 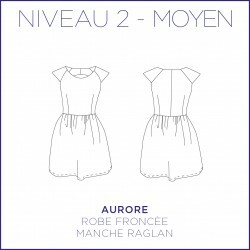 Aurore, it's a dress with a round neck, with raglan sleeves and a gathered skirt of mid-thigh length. 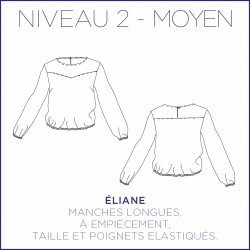 Daphnée, it's a twisted feminine and refined belt in all leathers. 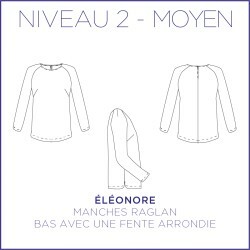 Eleonore, i'ts a tunic with raglan sleeves and rounded hem finish. 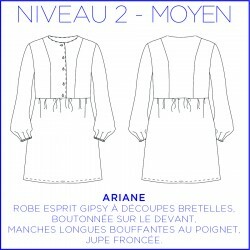 This is the basis of a wardrobe! 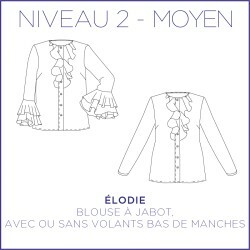 Eliane, it's a blouse feminine and chic long sleeves and declinable with its yoke detail.